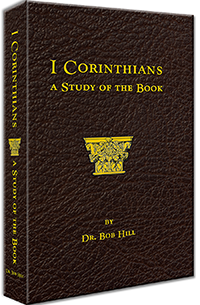 I Corinthians: A Study of the Book is a "Practical Commentary" on Paul's First Epistle to the Corinthians. It is designed to enable the reader to concisely and accurately understand what the Apostle Paul is expressing to a group of Believers for whom he cares greatly. This 410 page Bible-based commentary is built upon an Instructive Outline, and it is an excellent teaching tool. While this book is not a running narative, such as Matthew Henry's, it does include some devotional/meditative material. And, while this book is not designed as a complete verse-by-verse exegesis of Paul's epistle, there is a good measure of this, as well. An looseleaf bound Instructor's Manual of the full commentary is available; as well as a 62 page companion Study Guide. The Study Guide features an abbreviated outline in a fill-in-the-blank format. All answers required to complete the Study Guide are included in both the full Commentary and Instructor's Manual: appearing as Bolded, Double-Underlined text. Orders may be placed by downloading and completing the following order form, or by calling: 662-202-5518. 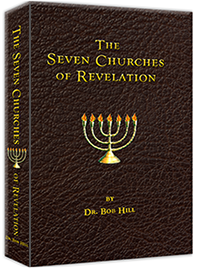 The Seven Churches of Revelation is a Commentary on Revelation chapters two and three. It provides an indepth study of the seven churches of Asia Minor which existed in the days of the Apostle John. Key historical and archeological information is given regarding each church, which allows the reader to gain a better understanding as to why Jesus references each church as He does. The background of many key words and phrases are provided, with a detailed explanation of their Greek language roots. This 300 page Bible-based commentary is built upon an Instructive Outline, and it is an excellent teaching tool. 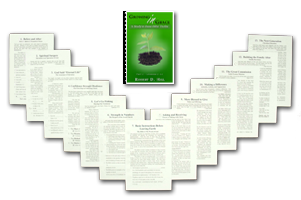 An looseleaf bound Instructor's Manual of the full commentary is available; as well as a companion Study Guide. The Study Guide features an abbreviated outline in a fill-in-the-blank format. All answers required to complete the Study Guide are included in both the full Commentary and the Instructor's Manual: appearing as Bolded, Double-Underlined text. 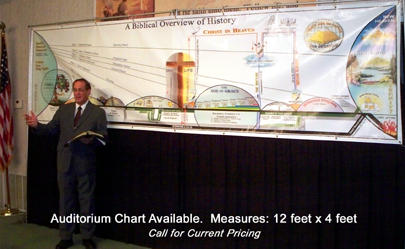 A Biblical Overview of History, is written and designed by Dr. Bob Hill. 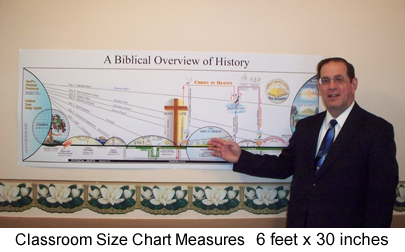 This Commentary, along with its colorful companion chart, provide a study of Biblical chronology (i.e., a study of Time as revealed in the Word of God). The study provides an understanding of history given in terms of the Bible rather than a study of the Bible in terms of history. The course covers the entire Bible from Genesis through Revelation. 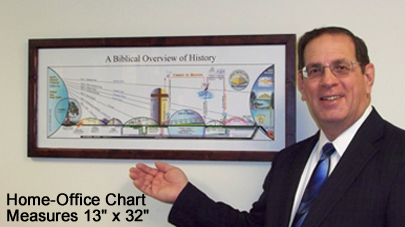 A Biblical Overview of History features a panoramic history (past, present, and future) of mankind on earth. The course begins with a study of the nature of God, His creation of the universe and mankind, and the spiritual fall of man in sin. It presents key Biblical truths as revealed by God throughout history - identifying unique periods in which God deals in distinguishable ways with mankind. Placing man's history on earth (i.e., Time) in the midst of Eternity, helps the student understand the purpose of God's creation of man, God's plans and purposes for the ages, and the fulfillment of God's designs in eternity. Within A Biblical Overview of History are a series of interesting "Inserts," covering such topics as: the Creation of the Universe and Mankind, the advent of Sin and the Fall of Satan, the spiritual Fall of Man, the Old Testament Tabernacle, and an introduction to the Seven Churches of Revelation. Although the Commentary is in book form, a looseleaf bound Instructor's Manual is also available. The Instructor's Manual, also includes Review Sheets which may be copied and freely distributed. A formal Study Guide, suitable for classroom use, offers a Fill-in-the-Blank approach. Answers to all questions in the Study Guide are provided in both the Commentary book and the Instructor's Manual. All Scripture citations used in the course are from the King James Version (KJV) of The Holy Bible. Both the looseleaf bound Instructor's Manual and the plastic spined Study Guide are printed in a 5.5" x 8.5" format. The Gift of the Magi - Listen Now Free! The Gift of the Magi is a short story written by O. Henry, a pen name for William Sydney Porter. This story, about a young married couple and how they deal with the challenge of buying secret Christmas gifts for each other with very little money, was one of several hundred written by O. Henry between 1903 and 1910. It was published in a New York City newspaper in 1905 and in a collection, The Four Million, in 1906. 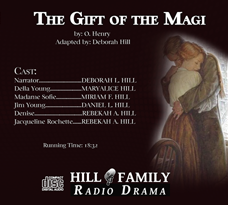 We hope you enjoy as the Hill Family Radio Drama presents an adaptation of The Gift of the Magi. Each volume consists of six study units that include the text, vocabulary words, questions, quizzes, and projects. Each unit also has a removable final test. The answer key for all six study units has been printed its own bound volume. Many schools throughout the State of Mississippi are using this course. These schools have expressed their appreciation for the fact that this course is written by Christian Educators from a Biblical viewpoint. The course traces God's Hand behind the scenes of the development of the state and encourages students to let God work in their lives. Because of the six-unit design, this course can be used with individual students or can be used with an entire class. It is recommend that this course be used with students on the seventh grade level who are required to complete a state history course. 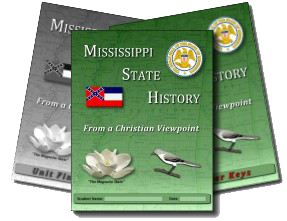 Mississippi State History: From a Christian Viewpoint may also be used for a half credit high school elective.